With our kitchen and mudroom remodel finished I’ve been waiting months to work on our family room. 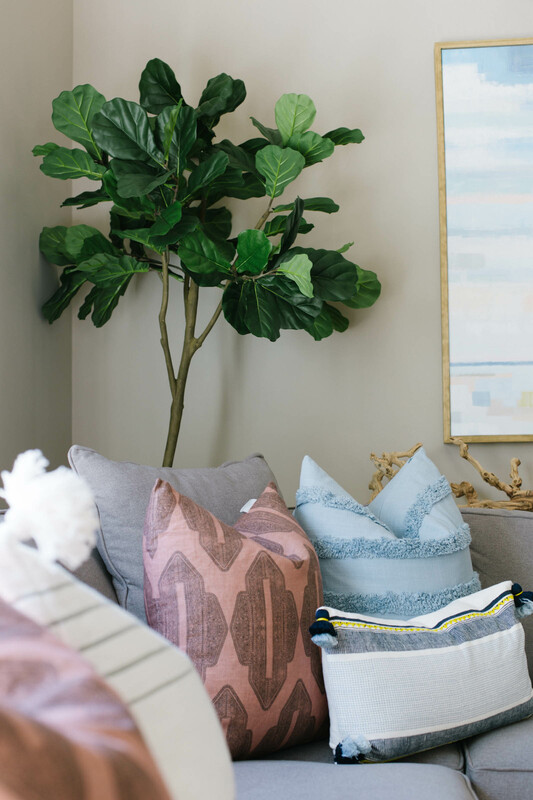 We added a few new pieces just in time for spring to completely refresh our family room and bring it to life. 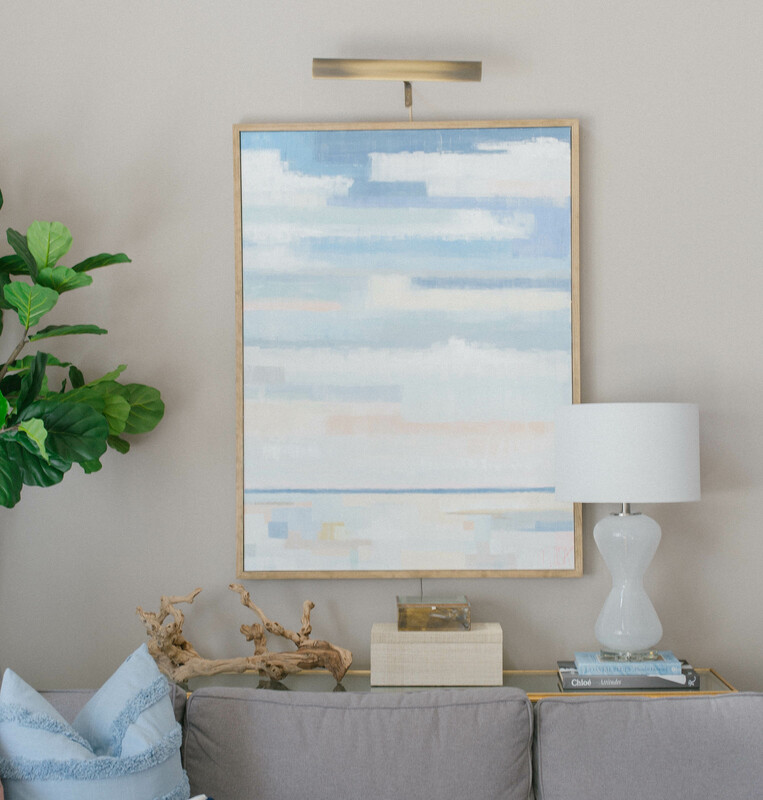 I love the coastal vibe and how each element in the room picks up the color from our beautiful Theresa Losa painting. Our first major change and purchase was getting a new sectional. Our previous sectional was over over 10 years, and was starting to loose it’s form. It has found a new home in our basement. 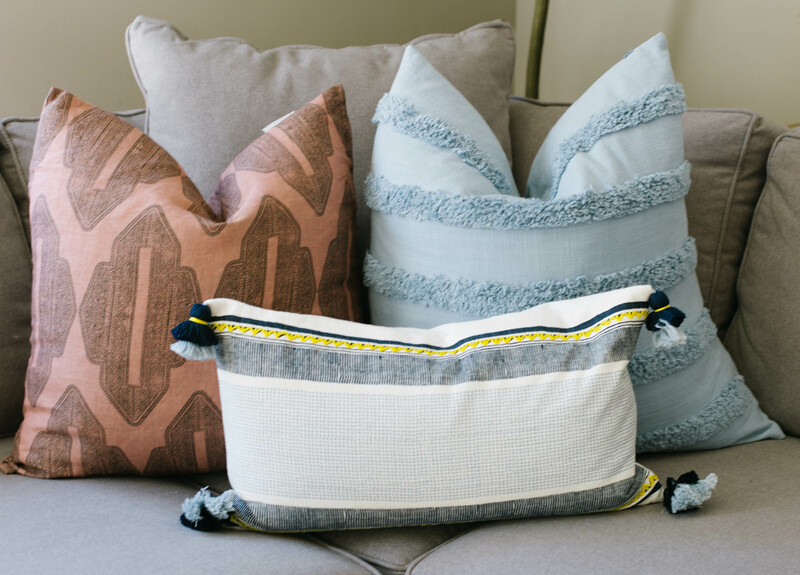 We updated the pillows on our couch with rosedust, light blue, white with tassels and a lumbar pillow. Rosedust, light blue, white with tassels and a lumbar pillow. 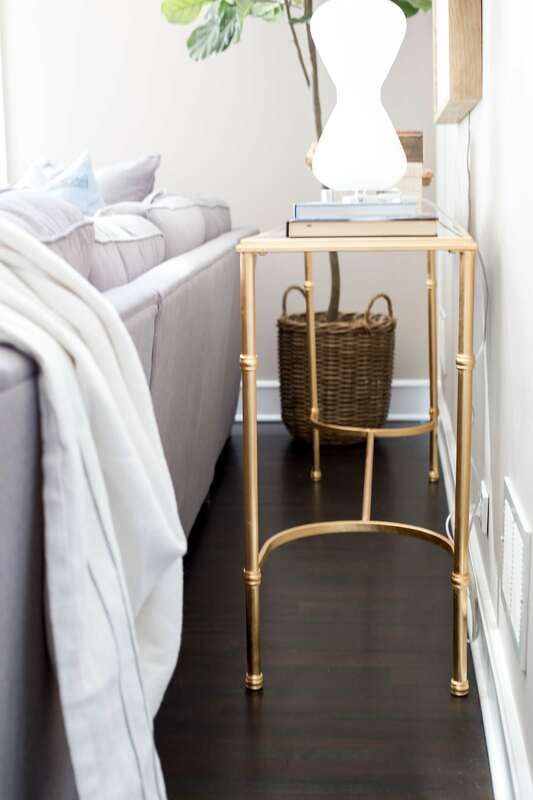 I love our new brass console table behind the couch from Safavieh. 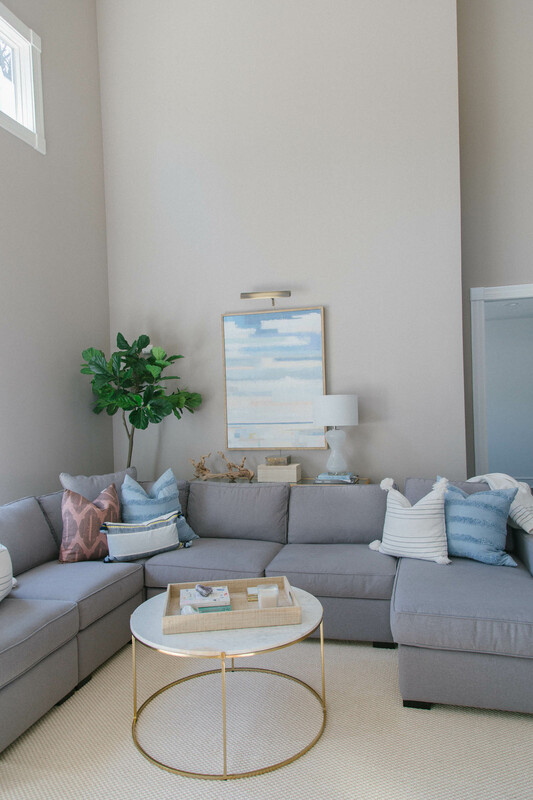 It matches the coffee table we previously purchased and the heavy glass and brass accent make it feel substantial in the space without a hefty price tag. 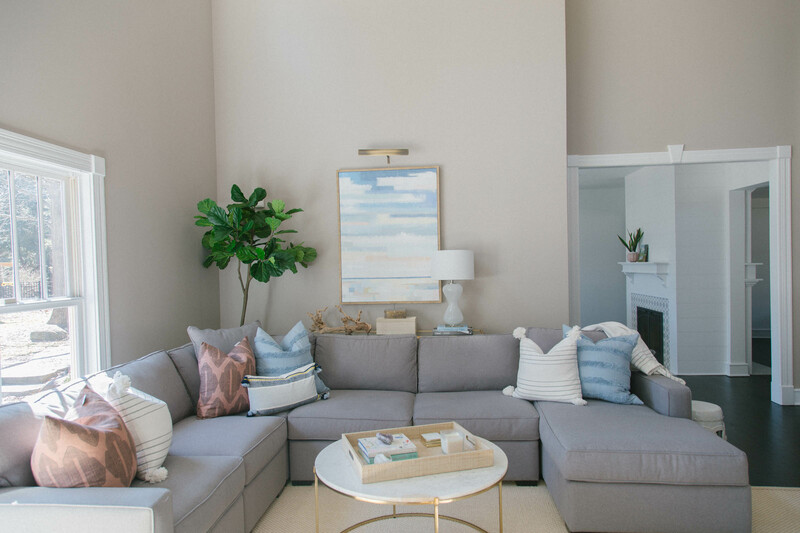 The most impactful change came from our 10×14 sisal rug. It’s super durable and perfect for our family room. Great quality, beautiful and can withstand the wear and tear of our family. 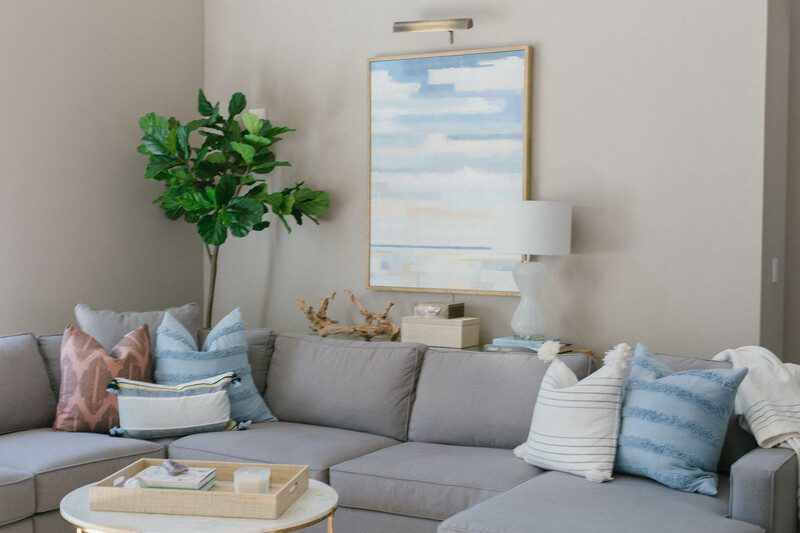 You can shop all our spring refresh family room sources below.